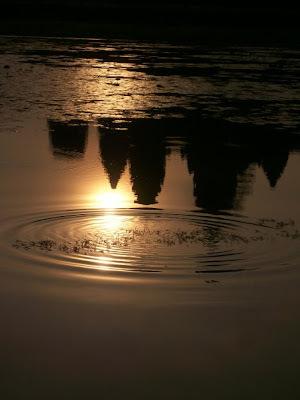 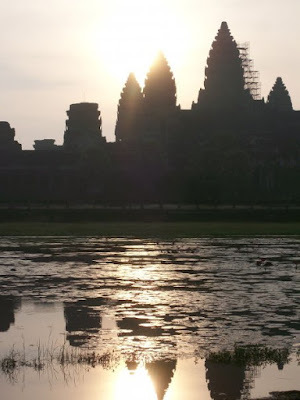 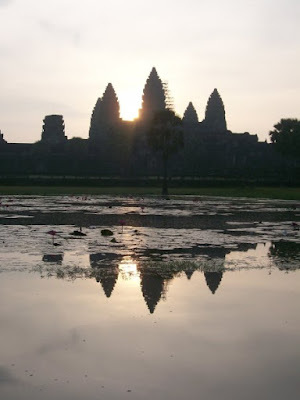 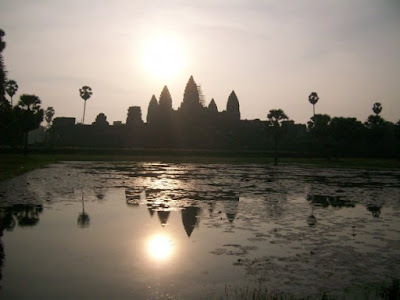 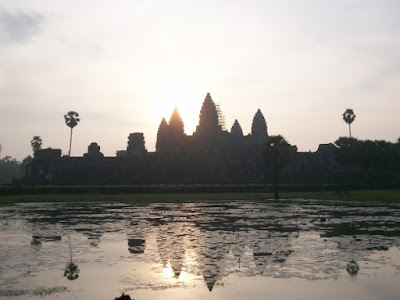 Our tuk-tuk driver broke the news to us that we had to meet him at 4.20 AM to set off from Siem Reap in time to catch the sun coming up over Angkor Wat, he assured us it would be worth it. 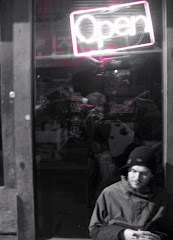 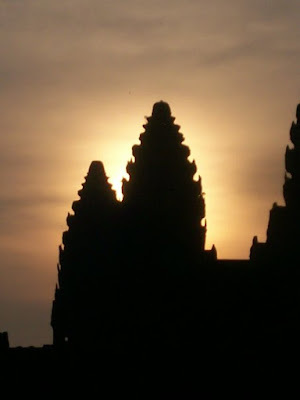 We fell out of bed, at 4AM, still pitch black outside and headed, bleary eyed to the lobby to meet out tuk-tuk driver. 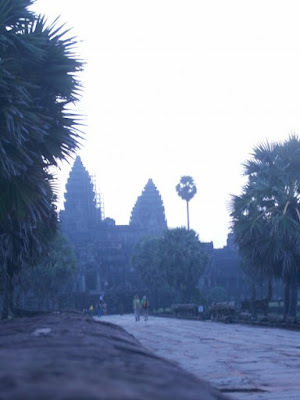 We were soon on the road to Angkor, arriving about 30 minutes later at the gates of Angkor Wat. 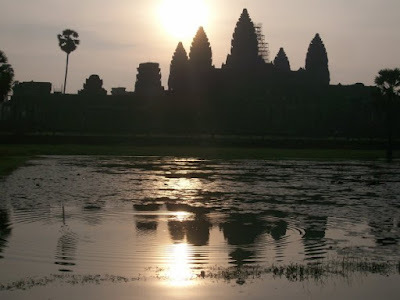 We walked across the immense moat and into the outer courtyard of Angkor Wat. 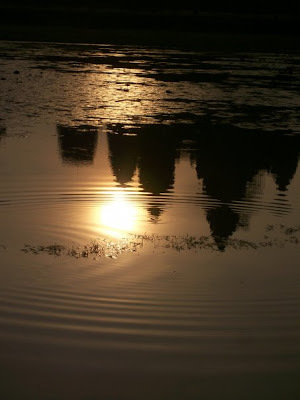 We sat ourselves up in front of one of the small shallow pools that skirt the perimeter and awaited the sun. 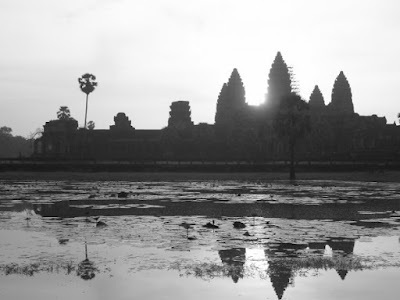 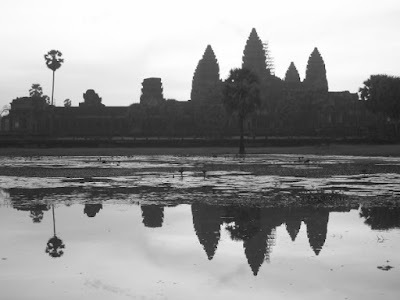 With the camera at the ready the sun started to rise up over the minarets of Angkor.